The Lamar Wilkinson Ranch is located in southern Menard and Kimble Counties, Texas. 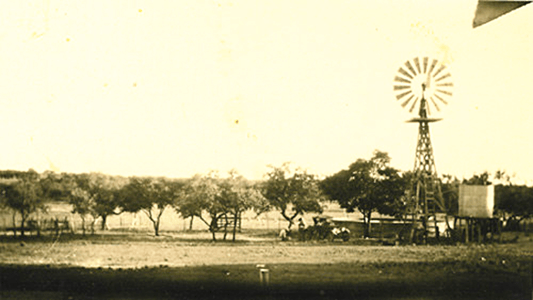 It began on 1 August 1927 when Lamar Wilkinson purchased from Lee Murchison and wife, Leona Murchison and W. K. (Will) Murchison and wife, Birdie Murchison the west part of their ranch and Lamar’s youngest brother Edgar Wilkinson purchased the eastern part of the Murchison’s contiguous ranch. Lamar was the fourth child born in 1882 in Menard County and came from a large Menard pioneer family; his mother Nancy Mires arrived in the town of Menardville in 1865 with her father, Paddy Mires. She married William Jackson Wilkinson in 1875. W. J. came to Texas in the 1860’s settling on the Pecan Bayou in now Coleman County. 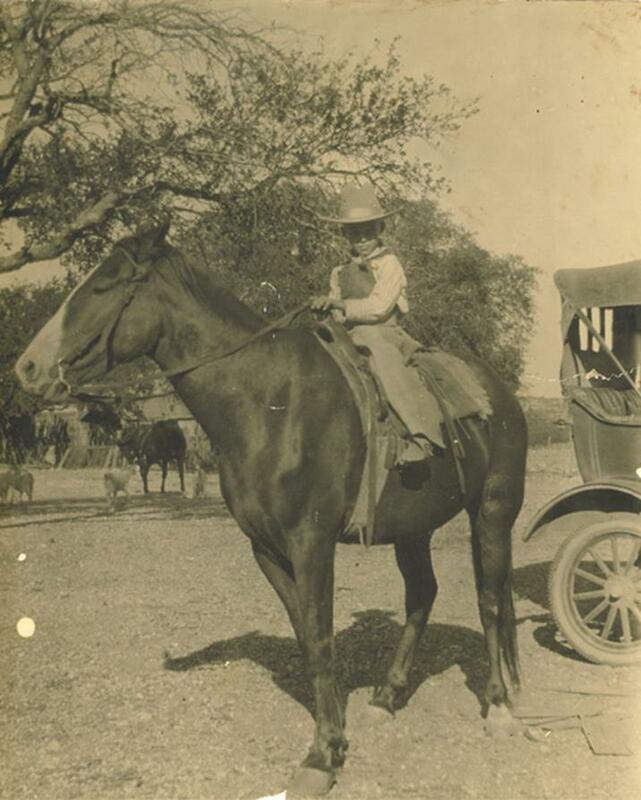 This long-time ranch family was known as the first to bring sheep in this part of Texas. 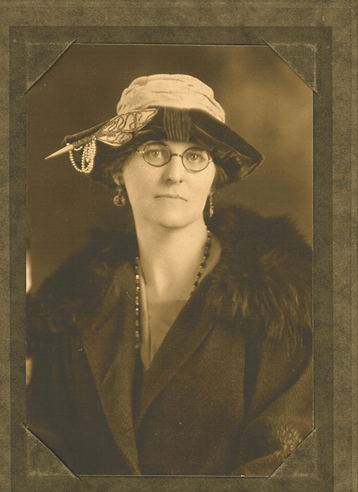 Lamar and his wife Mayme Turner Wilkinson were living in Sutton County and ranching leased land since they married in 27 November 1912. 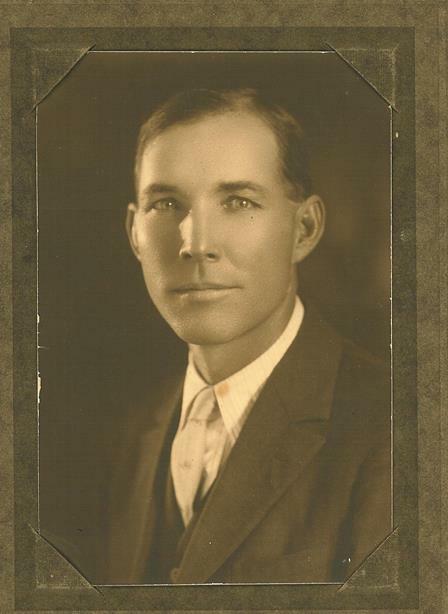 They arrived back in Menard County with their son, Francis Lamar Wilkinson born 23 November 1915 in Sutton County on the Riley Ranch, their only child. 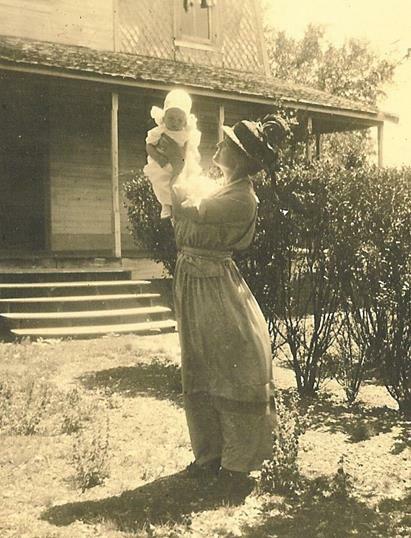 Baby Francis Lamar with his mother, Mayme Turner Wilkinson at the Riley Ranch, Sutton County, Texas; spring 1916. Photo off front porch of new ranch house in Menard/Kimble Counties, Texas. 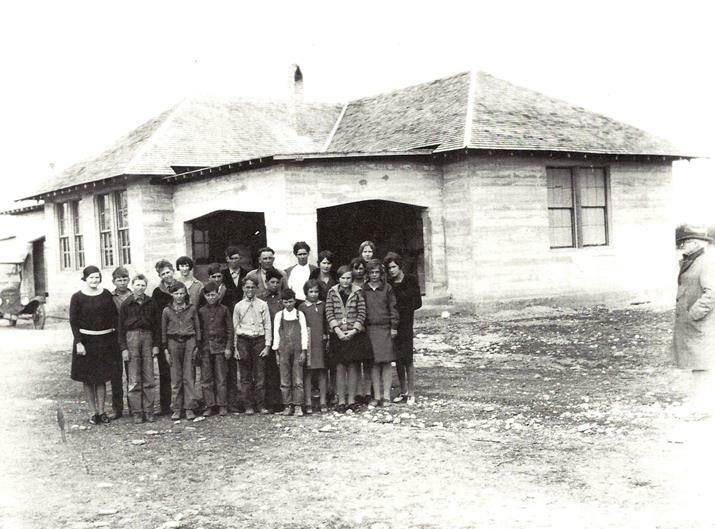 Beginning in 1927, F. L. enrolled at Palmer School almost three miles north of the ranch which is about 13 miles south of the town of Menard. He rode his horse to school every day. Photo from the above blog post Palmer School; F.L. in the middle, light colored shirt with glasses. This Lamar Wilkinson Ranch has been a continuous cow/calf, sheep and goat ranching enterprise since inception and with Francis Lamar in partnership with his father and then continuing after the death of Lamar on 3 October 1970. George Lamar “Buddy” Wilkinson son of F. L. and Laverne Bradford Wilkinson has been ranching this same land since 1980. As a fourth-generation Texas rancher, which is almost an endangered species, Buddy has been the land steward of this ranch and continued the improvements through conservation and improved grasses. He and his wife (me), Jan Powell Wilkinson have raised our family of two sons and a daughter and appreciate this property as a gathering place for family and friends. We have produced the food we eat and improved the habitat for the wildlife. This ranch has everything a legacy heritage ranch should have good grass and water with rolling hills and live oaks. Excellent whitetail deer and turkey hunting along with seclusion and wide-open spaces. We enjoy the calm and serene surroundings and the dark evening sky. We are the highest point in this part of the county with our water shedding off in three different directions and located in-between the dense Mesquite to the north and the Ashe Juniper “Cedar” to the south. Before fences in the 1870’s this part of the county was the site of Texas Ranger skirmishes with Indians that would run through here on the way to the London area; both the Comanches and Lipan Apache tribes. 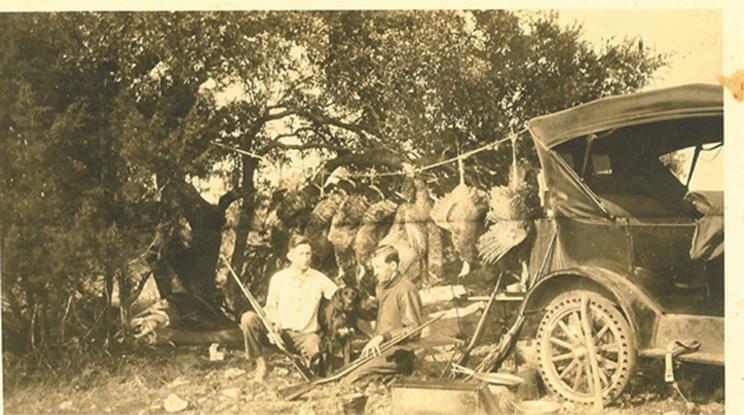 Menard County is known as the “Wild Turkey Capital of Texas” and famous for its whitetail deer hunting. 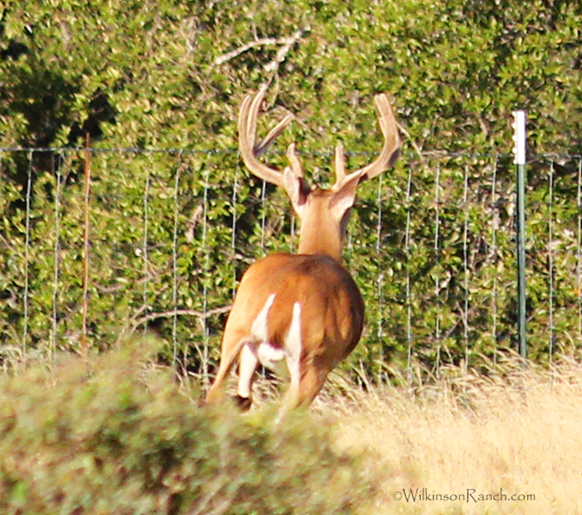 One of our many whitetail bucks. 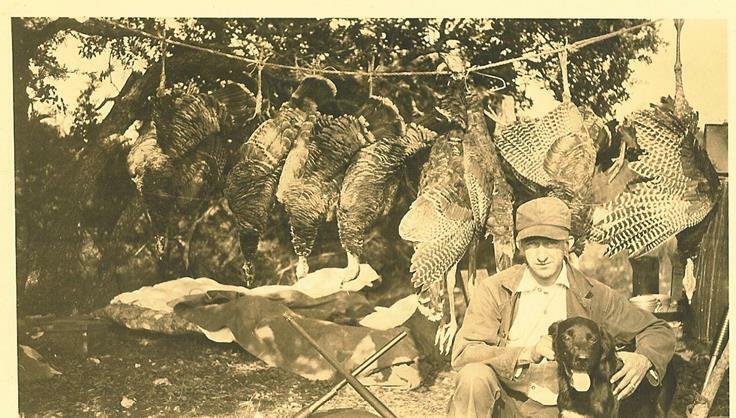 Lamar had many good friends with successful turkey hunts. 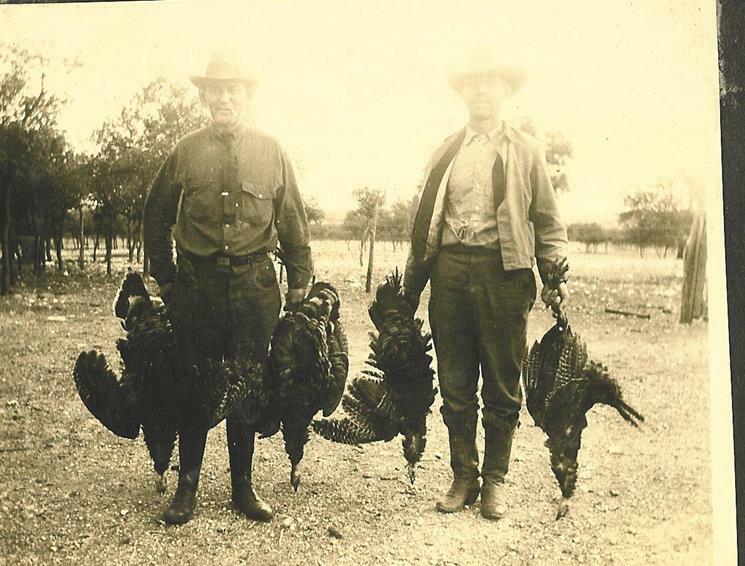 Walter Stewart, brother-in-law and Lamar Wilkinson had a good turkey hunt. We are proud to have been the stewards of this wonderful ranch and value our life-style choice to raise our family and the food you eat. Hope you have enjoyed a little of our history.